Regardless of your industry, product or service, you may find yourself experiencing periods of peaks and valleys in your sales volume. There are times when you are bringing in and closing so many leads that you can hardly stay on top of it and then there are times when it feels like you’ve hit a wall. How do you overcome this and create a steady flow of incoming leads and closings when you feel like you don’t have time to do anything else on top of your already strenuous efforts? With a willingness to exchange old habits for new ones, it can be done. Here are some tips on how to get started. We can easily get caught up in the idea that if we keep working really hard then something will come of our efforts. That’s not necessarily true if you spend your time doing activities that are not actually making you money. We’ve all heard the phrase, “work smarter, not harder,” right? Have your sales team write down every single thing they do throughout the day for a week. Then, go back and review how much time is spent on each activity and determine what can be streamlined or even eliminated. You will be surprised to see how much time is wasted on frivolous things like bouncing between activities. Just like any other person, sales professionals experience highs and lows throughout their day. Energy and mood may be better during certain times of the day and this can vary from person to person. During the week where your team is taking notes on all of their activities throughout the day, have them also take note of how they are feeling. They will want to pay special attention to when they feel the most energetic physically, where their mood is throughout the day and when they feel the most productive. You can use that information for step 3. Rather than going against the grain with mood and energy levels, you will find that your sales team is much more effective when matching activities and tasks to their mood and energy. They will also feel more productive while getting more enjoyment from their job as the process of their day feels more natural. 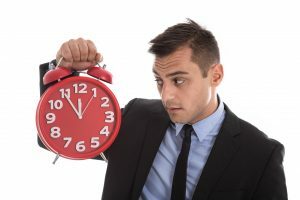 Time-blocking is an important technique that any sales professional should use to be the most efficient and productive. It allows them to pre-schedule their day according to natural shifts in mood and energy and ensure they get the tasks done that are most important. It will also significantly help cut out the busy work that doesn’t actually produce results. It’s most helpful to first create a color coding system to reference all the categories of activities that are needed for the job. For example, green for lead generation, yellow for administrative tasks, blue for open blocks for scheduling appointments and any appointments actually scheduled, red for internal meetings and purple for breaks or personal time. A good key principle to go by in this system is: if it’s not on the calendar, it doesn’t exist. Depending on the schedule your team keeps, you would want them to leave time at the end of the day on their last working day of the week to schedule out the next week in advance. This will consistently keep the system rolling and help with staying on task and working efficiently. It’s important to assign the right tasks to the right categories. Keep anything that is not allocated to actual productive lead generation in the administrative blocks. That includes emails, phone calls, voice messages, paperwork, etc. Remember, the lead generation time is the security of your future incoming business; not the business already coming in. It’s okay to set aside a specific time of each day to return calls and emails for already existing leads. In order to see results from any plan of attack, you must remain consistent. Stick to the plan that you’ve laid out. Changing habits can take time in perfecting but it can be achieved with some patience and a great attitude!